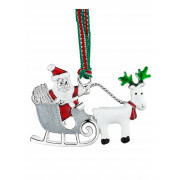 Make joyful memories with this festive Christmas Santa on sleigh hanging decoration from Newbridge. 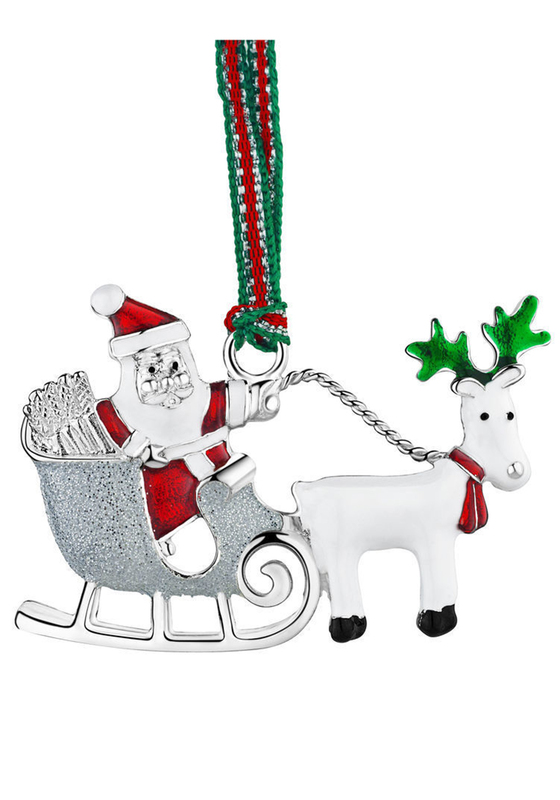 This intricately detailed silver plated decoration has white, red, green and silver enamel and a festive hanging ribbon. Packaged in a Newbridge Christmas collection pouch, ideal for a gift.